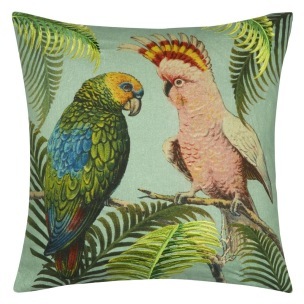 Surrounded by exotic palms, the most perfect colourful parrots are the centre of attention in this large statement cushion by John Derian. 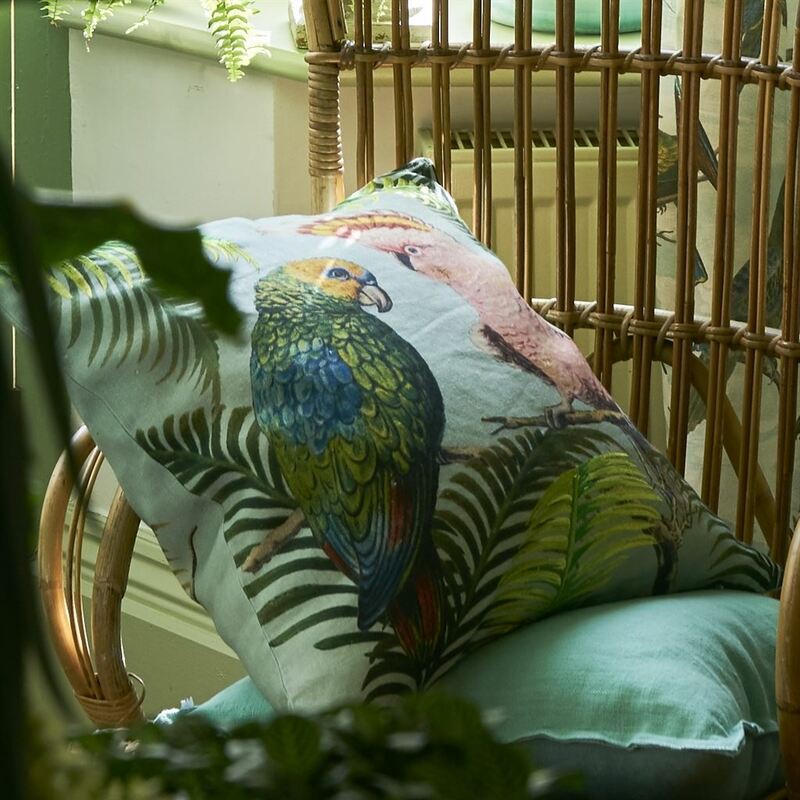 Digitally printed onto pure linen with embroidered highlight and a vivid green parrot forms the reverse. 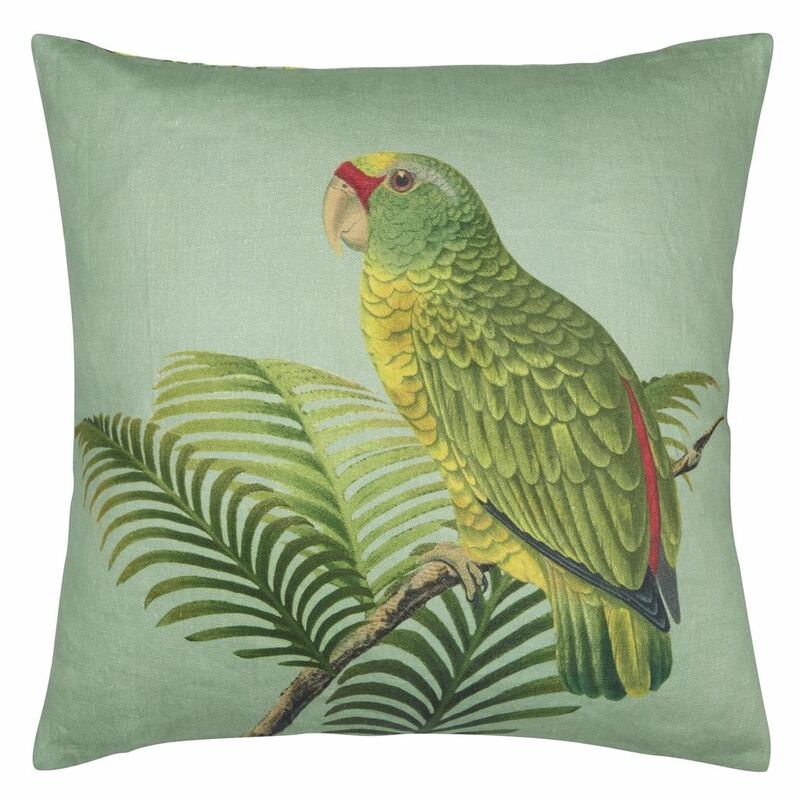 This decorative cushion is complemented by our best-selling Brera Lino cushions.